Interactive Wear develops and produces electronic systems designed for textile integration and wearable systems enabling customers to digitize, interconnect and innovate their products. Our functional focus covers heating, light, sense and feedback solutions. We utilize technologies such as flexible conductive textiles, connectivity components and modular electronics platforms. Our distributed software architecture includes real-time embedded systems, application software and mobile applications. Our systems are part of more than 100 products in market segments such as sport, fashion, workwear, rehabilitation, as well as interior design. We use conductive textiles to develop and produce lightweight, flexible but robust systems. We collaborate with leading research institutes and specialists for embroidery, weaving and trims to provide components for apparel and interior designers. Our smart textile components are the proven backbone for integration of wearable electronics into our customers' products. We focus on electronics integrated into flexible environments, especially garments and other textile products. One of the main differences compared to mobile devices is the usage of distributed architectures, flexible materials and special textile compliant integration methods and techniques. Our wearable electronic components functionalize our customers' products and turn them into smart devices. We offer components and techniques to merge electronics with textiles, resulting in smart systems and products. We provide new concepts of multimodal user interaction, comprising textile products as smart interface, the integrated electronics for data acquisition and control, application software for data analysis and mobile applications for complex user interaction. Our integrated systems transform our customers' products into objects of the internet of things, controlled by their users. We develop customer specific wearable products from idea to manufacturing, delivering systems for demonstrators, prototypes, pre-series and volume production. Customers take advantage from our existing platforms, enabling fast time to market combined with reduced development risks. 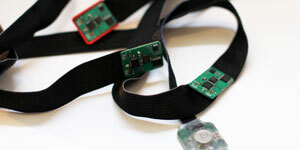 We provide a fast access to the basics and principles of wearable electronics. We help to evaluate product concepts or developed components, leveraging our development know-how and industrialization experience from more than 130 projects as well as our R&D partner network for electronics and smart textiles. We offer components and systems to build wearable products and smart textile solutions. Our portfolio ranges from textile cables for interconnections, textile heating pads, LED solutions to power banks suitable for usage in wearables. Complete sample systems are available for heating and light solutions. 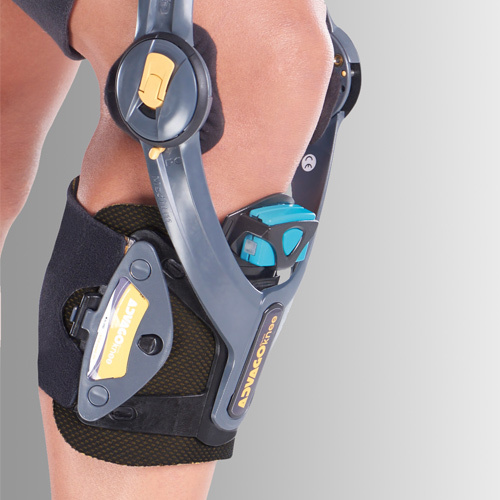 A motion sensor unit mounted on the orthosis, combined with a training app, enables patient and therapist to optimize and speed up the rehabilitation process. Stay comfortably warm when it's chilly outside with the innovative Bogner ''Heat System" at the lower back. 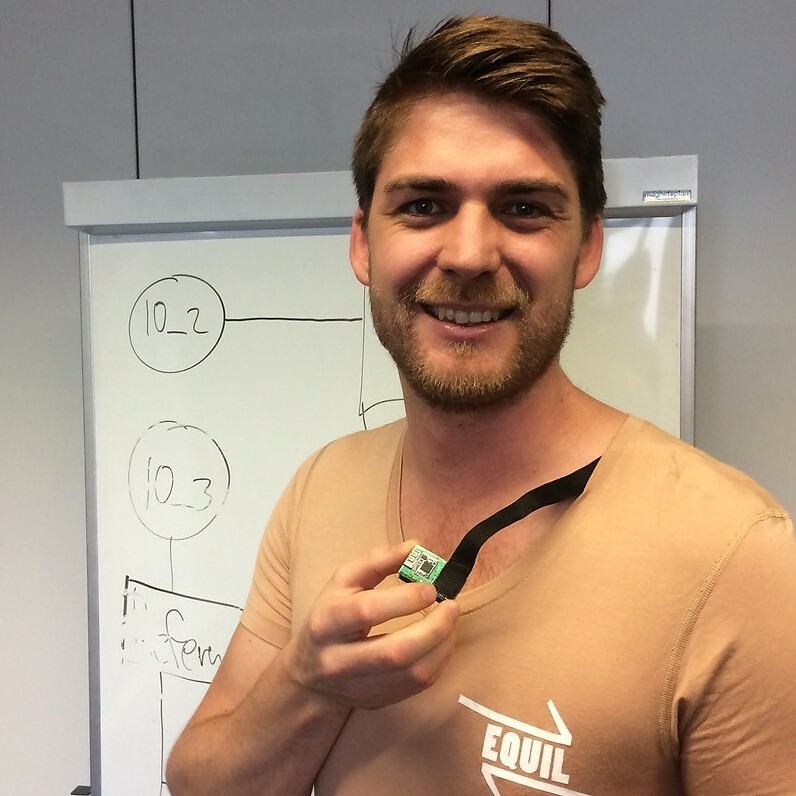 Constantin Diesch is using the MicroHub to develop a T-Shirt against neck pain. 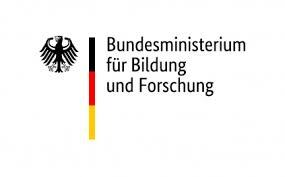 Since January 2019, Interactive Wear has joined the Reizstrumpf Project. We are working within research and industrial partners to develop and demonstrate a sensor-driven TENS-application (Transcutaneous Electrical Nerve Stimulation) to help people with VCI (chronic venous insufficiency). Our overall objective is to develop a holistic, unobtrusive, autonomous and privacy preserving platform for real-time risk alerting and continuous coaching. This will enable a design of workplace interventions adapted to the needs and fitness levels of specific ageing workforce. 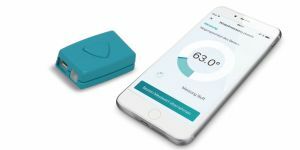 Gamification strategies adapted to the needs and wishes of the elderly workers will ensure optimal engagement for prevention and for self-management of musculoskeletal health in any working/living environment. 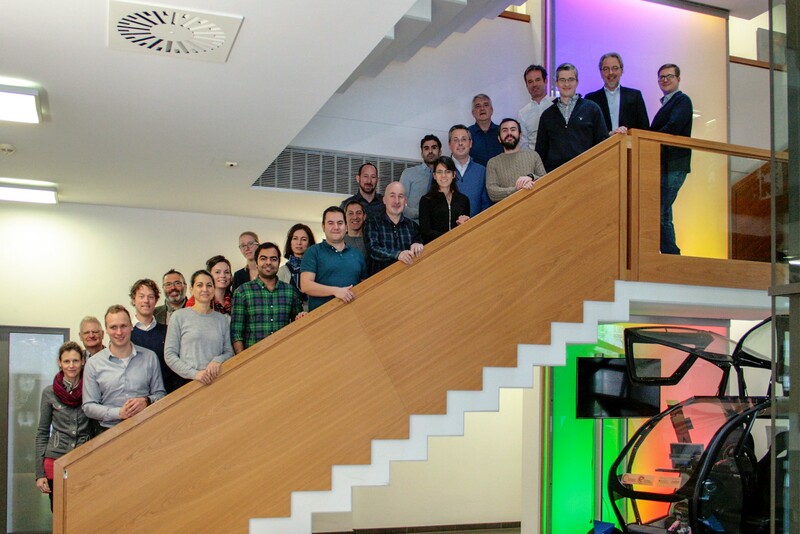 Since April 2018, Interactive Wear has joined the Graphene Flagship Project. We are working within the spearhead project WearGraph to develop and demonstrate power solutions build of graphene components.